Can you imagine your home totally organized? 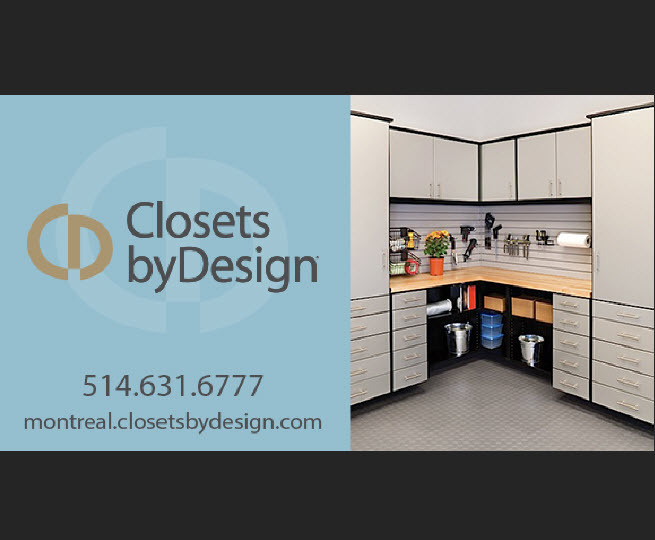 Closets by Design can. Simplifying your life is what they do. 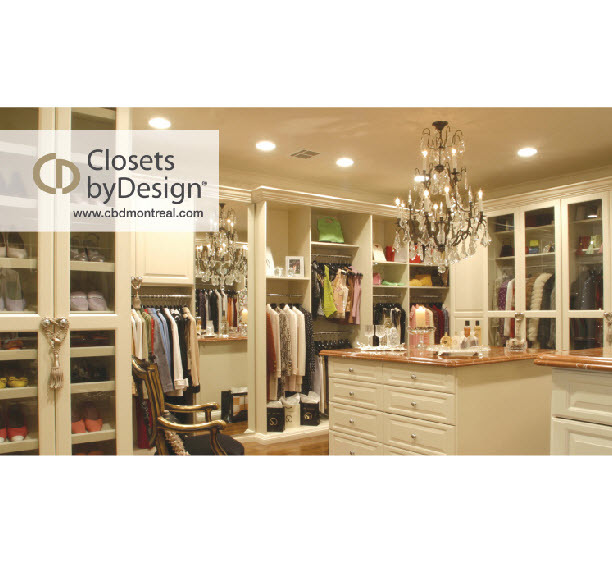 They design, build and install custom closets, garage cabinets, home offices, laundry rooms, pantries and more. With their wide selection of finishes, accessories and hardware, you will get the customized look you have always dreamed of. 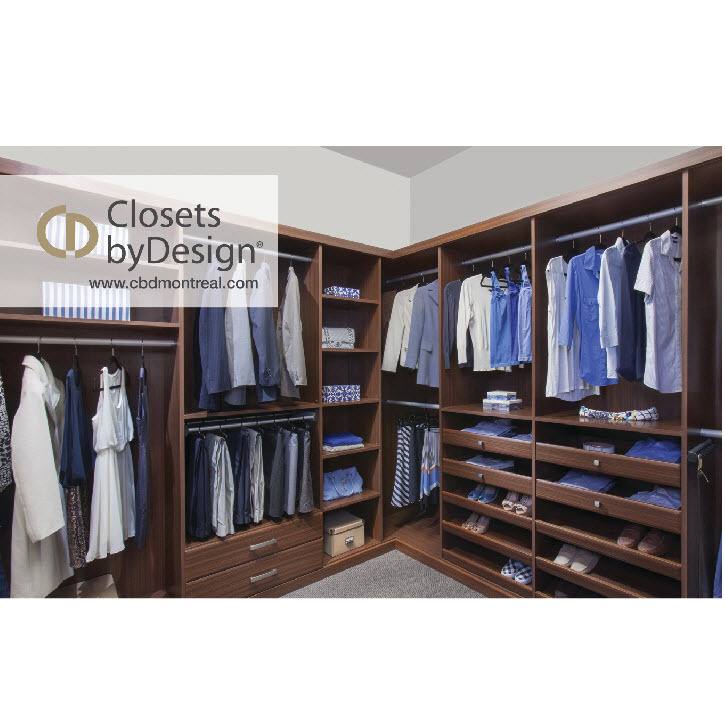 For a complimentary design consultation, just contact Closets by Design and they will send a talented designer directly to your home. The experts will take detailed measurements and will explore endless storage possibilities with you. They'll guide you to the best choices possible taking into consideration your budget, style and preferences. Once your system is designed, the work will begin at their state-of-the-art facilities. Each unit is built to your specifications and a professional team will install the units quickly and neatly. 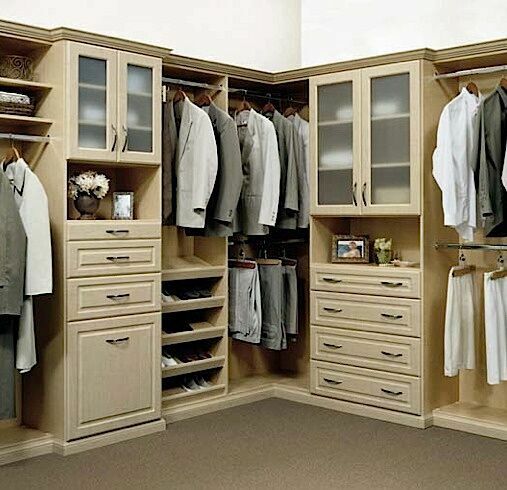 - Custom Closets: You can choose from a variety of closet systems. 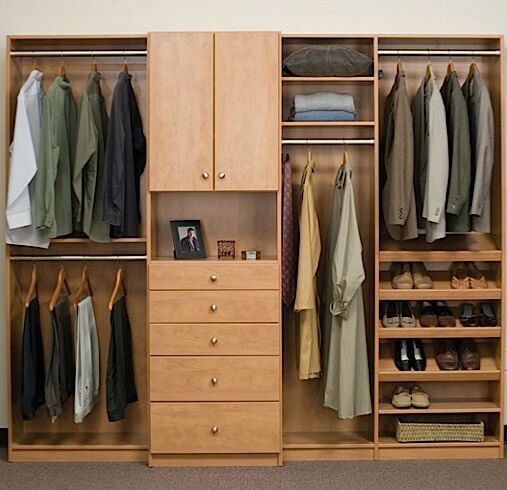 Each option will maximize your space and create a closet which helps organize not only your clothes, but also your life. 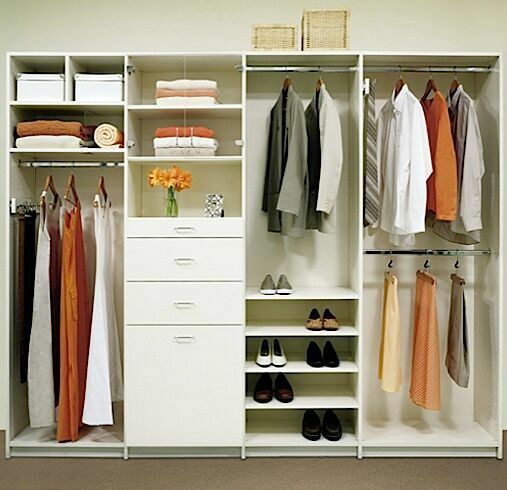 Every closet is built with your needs in mind. - Garage Cabinets: Think about transforming your garage into your workshop, garden center or arts and crafts room - all with plenty of storage space. 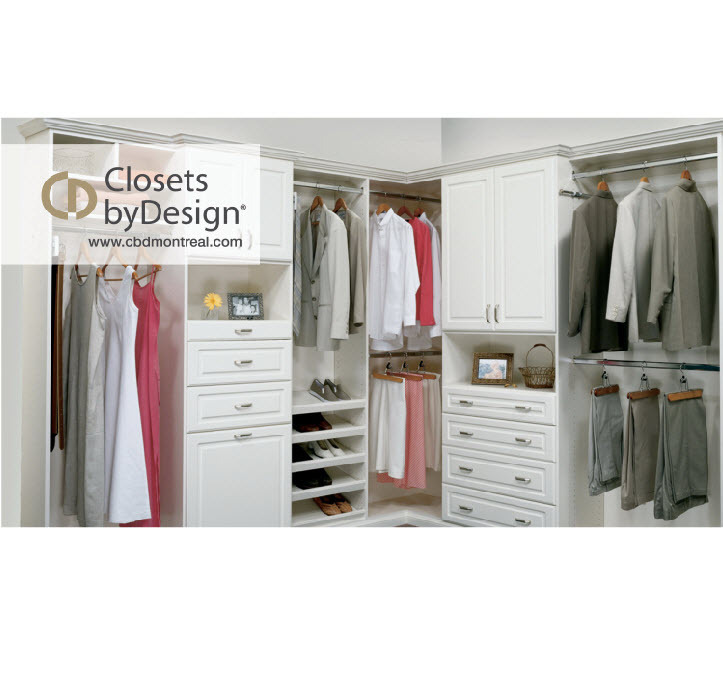 - Home Offices: Closets by Design understands how necessary your home office is. That's why they've created a line of innovative and effective office systems in a variety of styles and finishes to match your unique needs. - Wallbeds: Maximize the use of your space with a foldaway designbedT system. Customizable, multi-functional and ideal for small spaces, designbedT offers a creative space-saving solution for any home. - Laundry Rooms: Probably the most used room in your home, it needs to be well organized. There are numerous options to choose from, including long and short shelving, a variety of places to store cleaning supplies and items to compliment your laundry room needs. - Pantries: It's time to end your kitchen frustrations. The value of quick access to items in your kitchen is priceless, making meal prep quick and efficient. Their attractive pantries are developed to streamline cooking and cleaning with easy-to-reach shelves for easy-to-find items. 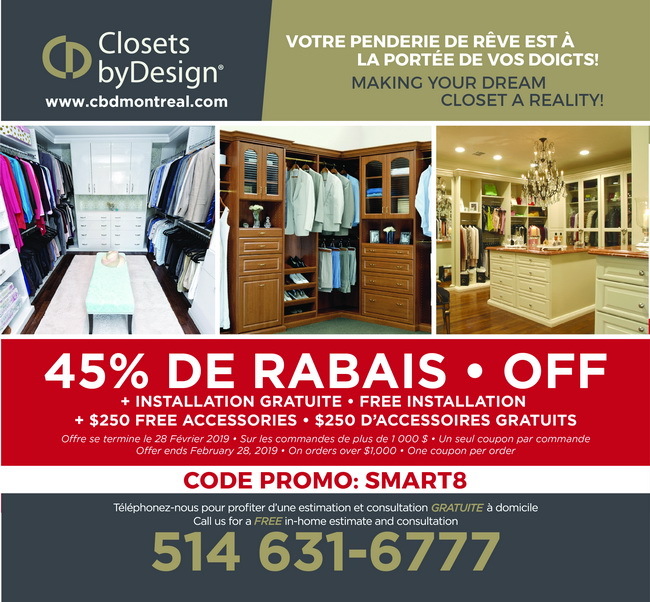 Closets by Design has built a reputation for integrity as an industry leader in customer service and total customer satisfaction. They strive for and build quality, beauty, and commitment into each piece constructed. From their no-obligation in-home consultation to custom tailored designs and then top quality construction, their products simply offer incredible value in the industry. With the combination of a wide variety of choices and their monthly high-value promotions, Closets by Design can easily meet everyone's different household budgets.